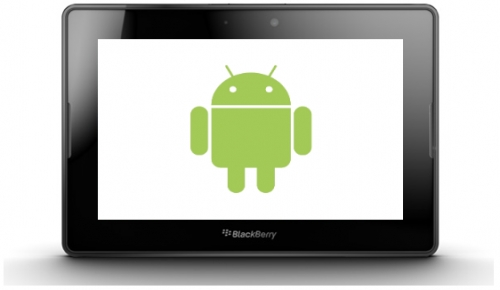 Android apps and native email coming to BlackBerry PlayBook 2.0 | BlackBerry Blast! RIM has been showing off the BlackBerry PlayBook 2.0 at CES this week. The next installment of RIM's tepidly received tablet promises new features. The PlayBook will finally get Android app support so they can get popular games like Cut the Rope working on their tablet. PlayBook users will not have access to the entire Android Market however, as developers will need to use a software package to make their apps work with the PlayBook. Over time though, I'm sure many developers will choose to go after the PlayBook market so this is a good thing. BlackBerry PlayBook OS 2.0 will also bring a native email and contacts app to RIM's tablet. Can you believe RIM would launch a tablet without native email? The original PlayBook was not as well received as RIM had hoped. Will the next version of their tablet be different? Only time will tell. Stay tuned.